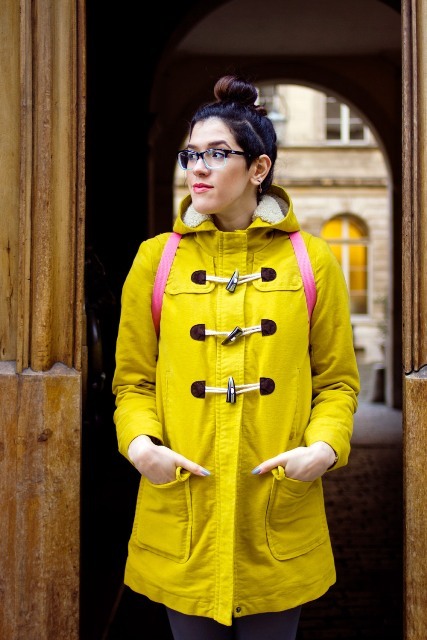 I think you know that duffle coats (or duffel) are very popular right now. If you don’t quite imagine, what it is, it’a c oat made from duffel, thick woolen fabric, and it has a capacious hood and three or four wood or horn toggles with leather loops, a buttonable strap neck and two large patch pockets. Many fashionistas and celebrities pick them up for their casual looks. So why do guys love such coats so much? 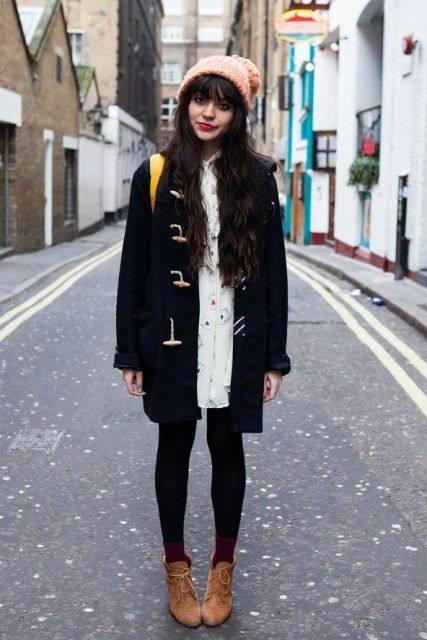 First of all, a duffle coat is very comfy and, secondly, this type of a coat looks good for almost any occasions. Nowadays it has many modifications, for example, this coat can be without a hood and looks perfect for elegant outfits. Now let’s consider some coat ideas. 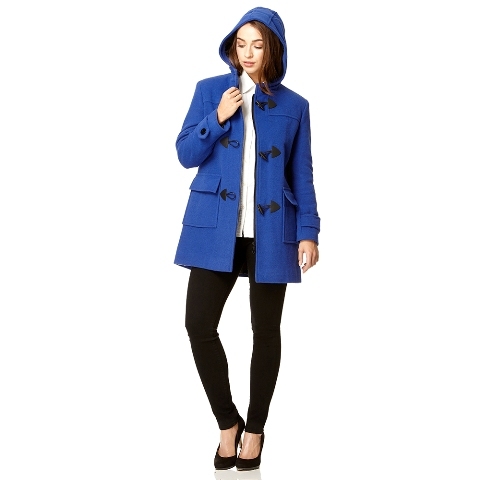 Initially these coats had a dark color palette from navy blue to dark gray. 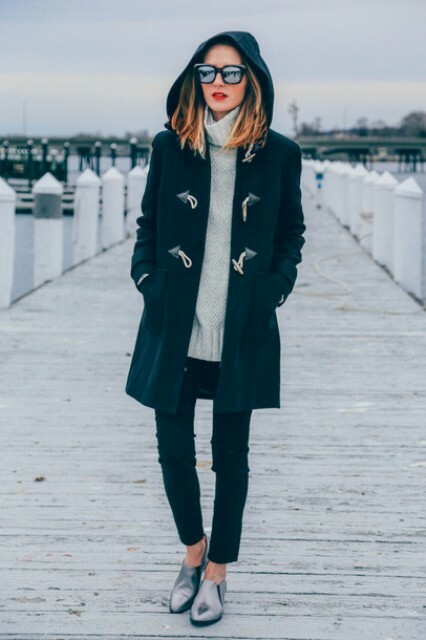 If you aren’t ready for bold clothes combinations, now you can find gray, black, navy blue, camel or beige coat and pair it with other neutral color clothes or some bright accessories depending on your wish and style. 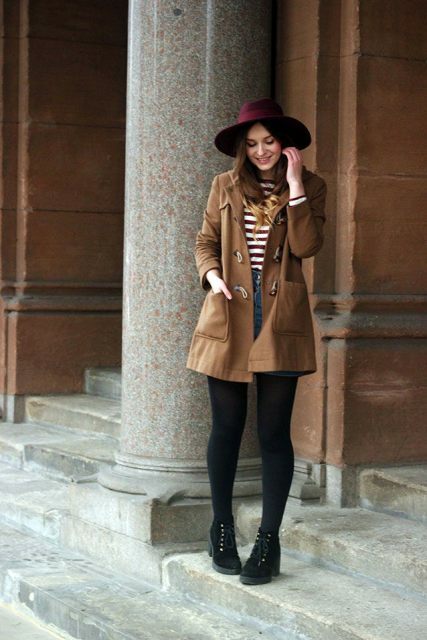 For more fashionable looks you can wear printed pieces of clothes such as striped shirts or geometric patterned skirts. I’m sure you’ll fall in love with these colorful coats! Now you have a really big and difficult choice, cause there are so many interesting ideas. 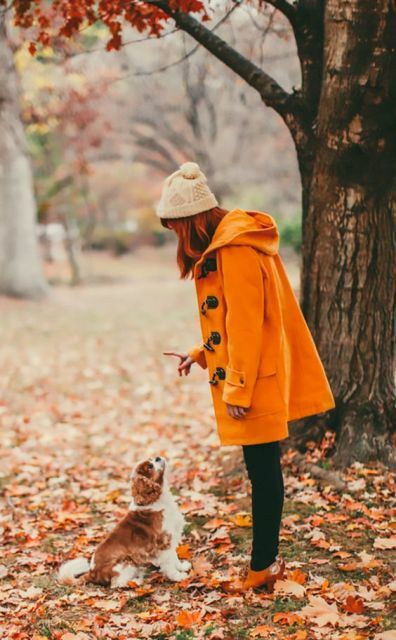 At first, just choose a favorite color for your coat: sunny yellow, adorable red, awesome orange, elegant marsala or stunning blue ones. Then try to mix it with simple clothes (for example, for every day you can choose jeans, black or white shirts and mid calf boots) or eye-catching ones. 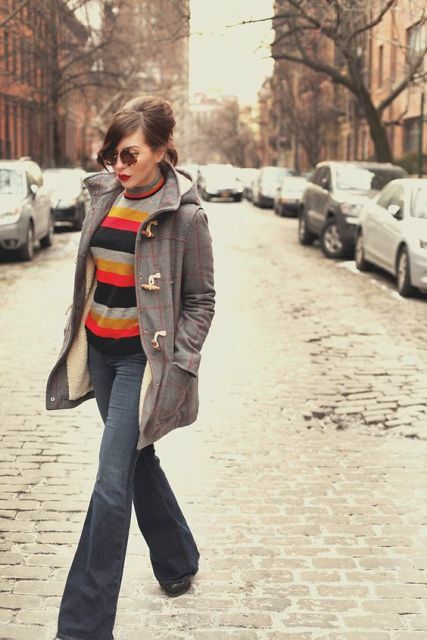 Don’t be afraid to add to your red coat an orange turtleneck, or for your yellow one — a pink backpack, with pastel color coats you can put on printed shoes, for example, leopard ones. Just add to fall and winter some bright colors!